Whenever you see wall mounted TV’s in shops or on the TV, you never see any attaching dangling cables or the effort that went into hiding them. 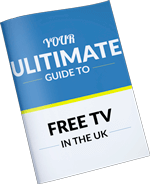 If you’re buying a new TV, even if you do not intend to use it for live TV through a TV aerial or satellite dish and only intend to watch streamed on demand content. You will still at least need to get a power cable up to the TV. This blog discusses some of the ways of doing this. This could be routed in the wall or installing within trunking. If you want to know more about concealing TV wires I recommend our previous blog on how to do so. When wall mounting TV’s you also usually need a longer power cable than is provided with the TV itself, especially if you have a full motion TV wall bracket as you will need to allow for an extra metre for when the TV is pulled away from the wall. The larger the TV and the further it pulls away from the wall the more extra cable length will be required. This is probably the more convenient option, as once you have fixed the TV wall bracket to the wall. All you will need to do is plug in the TV it’s all ready to be set up. Care needs to be taken where the mains point is installed as you don’t want this to get in the way of where the TV bracket will mount. I recommend having an idea of how high you want the TV mounted and where the bracket will need to be installed in relation to this. Obviously you may need an electrician to do this for you and there may be some dust creating by chasing the cables in the wall if you do not want surface trunking or have hollow walls. This may be a simply spur off an existing ring main by a nearby socket or this may a little bit trickier, it all depends on how your existing electrical cables are installed. Another downside of doing it this way is if you want the TV close as possible to the wall, the mains plug require a bit of extra room meaning that you need stand the TV further away from the wall. Another option for TV power when on the wall is to install a fused spur unit behind the TV position. This may too mean having to employ an electrician to do this for you if you’re not competent/ confident working with electrics. I strongly advise not doing so if you’re not. I have to admit that this is my preferred option where possible. This is because in the UK you’re not limited to the amount of fused spurs you can install on a ring main,obviously providing that this doesn’t overload the circuit. So you won’t need to alter the existing ring main, you can just spur off of it. Another reason why this is my preferred method is that by installing a fused spur for you can hard wire the TV power cable directly into back of the spur which will not prevent you mounting the TV bracket if you wanted to keep this close to the wall. Existing mains point can be changed for fused spurs, I recommend a switched one. The obvious downside of doing it this way is that the mains plug will need to be cut off the TV power cable, whilst this is fine if you have a detachable lead but if you have a molded mains lead on your TV you may void your warranty if you do so. It can also be tricky sometimes to wire up where you have molded mains leads as you need to keep the TV close when you wire into the fused spur. Another thing that I commonly do for customers and clients is to just provide and install a longer power lead for the TV than the one that comes with the TV. More often that not when installing TV’s on walls you have to think of other factors like getting aerial cables and HDMI’s up to the TV at the same time as the power. If the customer doesn’t want the expense of extra electrical related work often I will just provide a longer power cable that will come out at the same place as the HDMI’s etc so that it still looks very neat. Most new TV’s have detachable power leads so a longer one can just be connected. These are usually either a figure 8 mains cable, a cloverleaf cable or a IEC kettle lead. Sometimes your TV will come with a transformer that connects to the TV. This is still usually fine as most of the time the transformer will accept one of the cable types mentioned above and the transformer can usually be slotted in behind the wall mounted TV. The leads also are usually very slim making them perfect for routing behind walls and in thin gaps. If you still can feed it through a thin gap you can always cut of the mains plug and fit a new one at the bottom. A downside of doing this way is that if you ever change your TV you might not be able to use the cable you have installed. The cables can be spliced if this is the case and you can buy specialist connectors for doing this, also adapters exist for this purpose. If you do you need to make sure that you have protected the cable with the right sized fuse as different cables have different amp carrying capacities. The biggest thing of all the consider also is whether your TV can actually accept a detachable cable. If it has a molded mains lead then you will not be able to do it this way. If you have a TV with a molded mains lead and you do not want to install a mains point, fused spur and can’t simply connect a longer cable. Short of just splicing the TV lead the only other option is to install a flex and trailing socket for the TV to plug into behind the TV on the wall. You could but the lead ready made so that there are no electrical connections to be made, which is perfect for when you’re managing cables within trunking but unless you have are mounting your TV onto a hollow wall you won’t be able to do this.In situations you can buy the electrical cable, mains plug and trailing socket and prepare it yourself if you are competent with electrics. You can then route the cable which will make it far easier and then fit the connectors either end. The big downside of doing it this way is that you will need space behind the TV to plug into the trailing socket so you many need to install the TV further away than you wanted to. If you’re doing this moving wall brackets can be helpful to help create some room. Tilting wall brackets can really help as you can tilt the bracket down which would create a bit of room at the top of the TV to fit the trailing socket in. I use all of the methods described in this blog, but I admit I much prefer the professional methods of installing a mains plug or fused spur. Obviously the customers budget needs to allow this and it can be a bit more work than would otherwise be necessary to do this. - Where installing mains cabling this should be within the safe zones, which mean that cables should either be installed horizontally or vertically to entry/ exit points. - Where routing cables in walls, consider installing the mains cable into a trunking/ conduit to allow you to pull cables to the TV at a later date without having to disturb the plaster. - Make sure that the cables are being protected with an appropriately sized fuse. This is especially important when connecting into fused spur units. - Consider installing other cables which may be required at a later date at the same time, even if you don’t need them immediately. If you are chasing holes in walls, I recommend pulling a coax, a HDMI and data cable just to future proof where possible. - If you have a soundbar or equipment to be installed with the TV, make sure you account and install the adequate cabling for this also! I have to confess that I am not a qualified electrician at this point. I am competent with electrics and I am a professional TV installer but if you have any electrical type questions I recommend that you consult a electrician. Otherwise I will be happy to help where I can provide that you POST QUESTIONS IN THE BLOG COMMENT SECTION. I also ask that you are patient when you do so as I answer these personally and do not always have the time to get back to as quick as we would both like. I kindly ask that you DO NOT CALL OUR TELEPHONE LINES, these are reserved for customers only and there is no one on hand to provide you with support. I certainly do not have the time. I also ask that you DO NOT E-MAIL OR FILL OUT THE WEBSITE CONTACT FORMS. Again these are reserved for CUSTOMERS ONLY and if you do you either not receive a response or you will receive one asking you to post your comment in the BLOG COMMENT SECTION BELOW. Also by doing this everyone reading will get the benefit of the question asked and the answer given, plus I do no have to individually privately answer the same questions. All that being said I will help where I can.